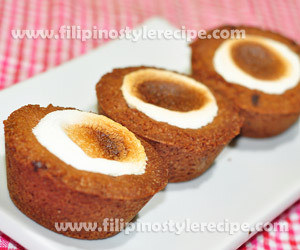 Filipino Style Recipe: Smores Cookie Cups is made of crushed grahams topped with melted marshmallows instead of usual frosting. 1. In a mixing bowl, cream butter and sugar using an electric mixer until creamy, around 3 minutes.Beat in the egg and vanilla extract until well combined. 2. In another bowl, combine the crushed grahams, flour, baking soda and salt. Gradually add the dry mixture into the butter mixture and mix using spatula until just combined. 3. Scoop 1 tablespoon batter into each non stick muffin pan and mold into the sides and bottom of the pan. Note that the batter will expand when baked so do not make it too thick. 4.Bake into preheated oven at 350 degrees Fahrenheit for 10 minutes. Remove from oven and let it cool before transferring to wire rack to cool completely. 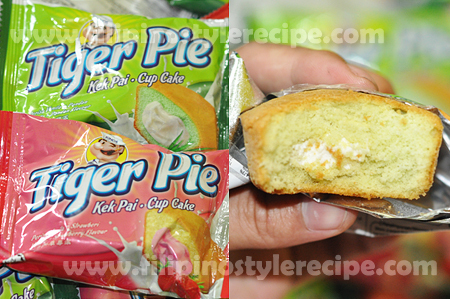 Filipino Style Recipe:I am not a big fan of marshmallows but its a different story when you say melted marshmallows. In this recipe, instead of using the usual frosting, I am using melted marshmallows on top of a rich and bold chocolate cupcake. 2. In another bowl,combine the buttermilk,oil, eggs, and vanilla. 3. Mix the wet ingredients with a mixer on low speed. Slowly add the dry ingredients into the wet ingredients and mix until just combined. 4. Add the coffee and mix with hand until just combined. Fold in melted chocolate. 5. Pour the batter into prepared cupcake pans. 6. Bake in preheated oven at 350 degrees Fahrenheit for 15-18 minutes or until a toothpick inserted on the cupcake comes out clean. 1. 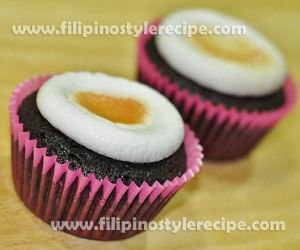 Remove from the oven and put one marshmallow on top of each cupcake. Press lightly to avoid from falling off the cupcake. 2. Put back in the oven and bake for 1 minute or less when the top is light brown. 3. Remove from the oven and gently press down marshmallows to flatten. Filipino Style Recipe: S’mores Graham Balls are simple and easy on the budget. 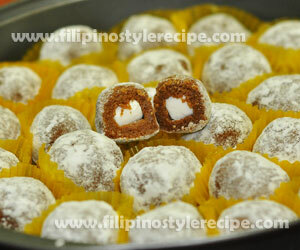 The Graham balls are sweet snacks filled with marsh mallow that you and your family could enjoy. 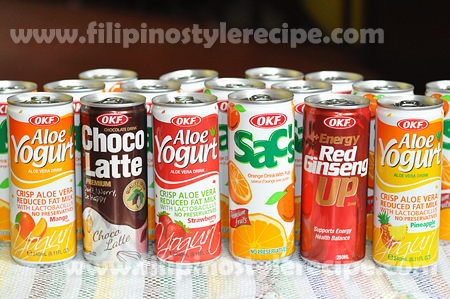 These is commonly serve in any occasions specially during holidays. 1. In a bowl, combine crushed grahams and condensed milk then mix until well incorporated. 1. Scoop a spoonful of graham mixture and create a ball by rolling into your palms. 2. Push one marshmallow into the center of the ball then seal and roll it until the shape is round. 3. Roll the graham balls over confectioner’s sugar. 4. Repeat steps until all the mixture is consumed. 5. 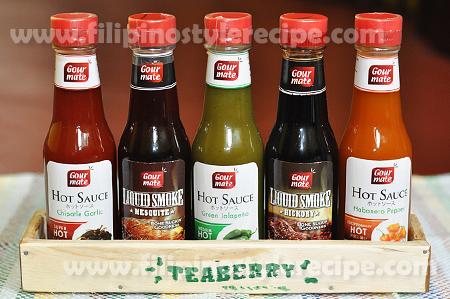 Put into sealed container and refrigerate until ready to serve. 6. Place each ball in a small muffin liner then serve.